A suspect shot during an undercover police drug operation in Sunnyvale has died, police said Wednesday night. Officers earlier in the afternoon swarmed the parking lot of a Hobee's restaurant on N. Mathilda Avenue after at least one officer opened fire on the suspect, only described as a man. Capt. Dave Pitts said shots were fired during the planned sting. He said the suspect was hit and taken to the hospital, where he later died. Pitts said no other suspects were outstanding and no bystanders were injured. 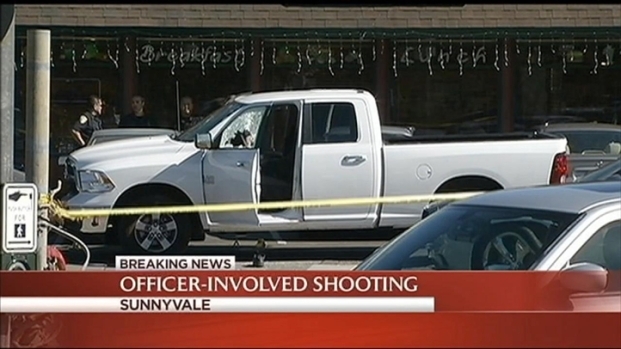 George Kiriyama reports on an officer involved shooting in Sunnyvale Wednesday afternoon. In addition, Pitts said he did not know if the suspect fired shots or if he had a gun. The shooting, reported at about 2 p.m., occurred in the small parking area in front of the popular Hobee's restaurant, just off Highway 101. A white pickup truck sat in the lot with a shattered driver's side window late Wednesday afternoon. Multiple officers were involved in the undercover operation, according to Pitts, but it was not immediately clear how many officers shot the man. 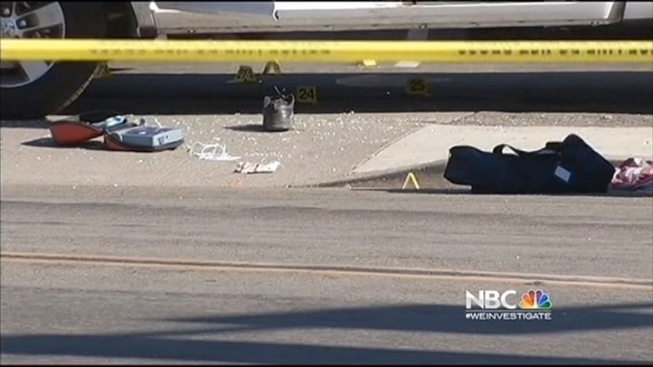 A manager at the Motel 6 next door told NBC Bay Area that it looked like a driver was pulled over for some kind of traffic violation. John Carroll said officers were shouting at a person in the vehicle to get out of the car. Then he said when they started getting out of the car - shots were fired. The officer involved in the shooting was not injured. The exact address of the shooting took place at 800 W. Ahwanee Avenue. Two lanes of N. Mathilda were shut down to traffic during the investigation, Sunnyvale officials said. This same Hobee's was visited by Vice Pres. Joe Biden earlier in the summer. He dropped by for a surprise visit during a weekend fundraising tour in the Bay Area.